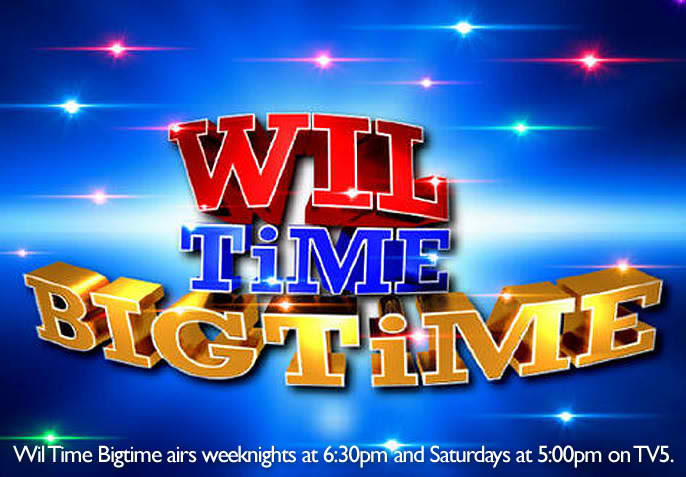 Following its highly anticipated and top-rating pilot last May 14, TV5 brings the people’s show Wil Time Bigtime to Cebu this Saturday (June 25). Airing live at 5:00 p.m. from the South Road Project (SRP), South Reclamation Area in Cebu City, the show is the culmination of the network’s extensive on-ground activities to reach out to its growing fan base in the Visayas region. Thousands of Cebuanos are expected to join Willie Revillame, Shalani Soledad and co-hosts Baby Bisaya, Sugar Mercado and Aimee Shweighart in the show’s live remote telecast in the Queen City of the South. The Bigtime Girls and the rest of the Wil Time Bigtime group will also bring family-oriented entertainment and big time prizes to Cebuano Kapatids together with guests Meg Imperial, Nina Jose, Wendy Valdez, Blakdyak and Andrew E.
Cebuanos can finally engage in Wil Time Bigtime’s fun-filled game segments including “Red, White, Blue,” “Family Apir,” “Roll It,” and its banner segment “Wil Time Bigtime” for a chance to win P1M cash, a Foton van and a house and lot from Camella Homes. The Cebu crowd will surely delight in the visual treat offered by Wil Time Bigtime’s modern LED set that fully hightens the program’s excitement. Will a lucky Cebuano be fated to win P1M cash, a van and a house and lot in the mega jackpot round? 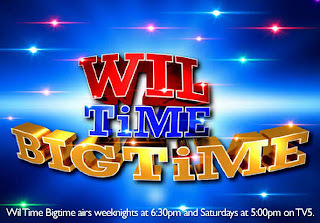 Catch Wil Time Bigtime live from Cebu this Saturday after Sabado Sineplex on TV5. Kapatid shows can be viewed in Cebu via TV5 Cebu Channel 21.